Friday's practice session lumped Group 9 with Groups 1-2. 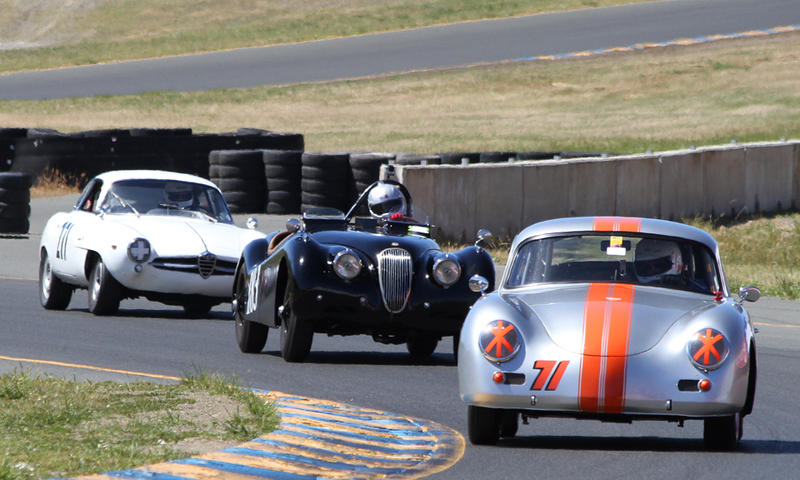 Hence Mapstead's Jag sandwiched between Frame's Porsche and #271, Ross Lindell's rare 1963 Alfa Romeo Sprint Speciale. Next: David Buchanan -- 1956 Alfa Romeo Spider / Patrick Hung --1967 Alfa Romeo GT Jr.
Back to: Jack Perkins -- 1967 Alfa Romeo GTA / Jeffrey O'Neill-- 1968 Alfa Romeo 1300 GTA Jr.